How to ruin an evening with a beer geek: (Step 1) Define “craft beer” and “craft brewer” using the industry standard. (Step 2) Yield nothing. That has pretty much been the way of things since the fall of 2005, when the board of the Brewers Association, the Boulder, Colorado-based trade group representing the interests of the nation’s many smaller breweries, voted for the first time ever to define a craft brewer. The definition sparked a decade of often impassioned debate. What was the controversial definition? Basically, the Brewers Association looked to one government action and to the techniques of the earliest days of post-Prohibition micro-brewing for the parameters. They were not arbitrary—nor was the timing of the definition’s release random. The Brewers Association of America dated from World War II and had come to generally represent the interests of larger regional breweries. The Association of Brewers, which represented what came to be called “craft brewers,” was born in the heady late 1970s rush of changes that brought about the modern era in American brewing. One of those big changes had been a 1976 tax cut. In September of that year, congressional legislation chopped the per-barrel excise tax on beer from $9 to $7 on the first 60,000 barrels—so long as a brewery produced no more than 2 million barrels a year. At the time, there were few breweries making under that ceiling annually. Soon there were several, then dozens and then hundreds. The 2 million-barrel cap seemed a sound cut-off point. This growth beginning in the late 1970s was another big change that spurred the Brewers Association’s 2005 definition. The notion of an independently owned brewery making small batches of beer solely with traditional ingredients would have seemed positively foreign to most consumers before the late 1970s (and would remain so for many for years after). 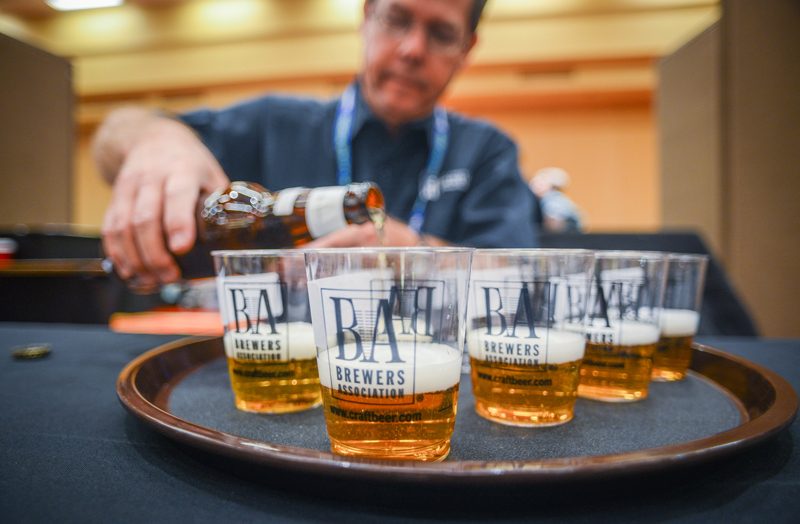 As the sight became more familiar, the sector itself, then the media and finally the Brewers Association strove to define exactly what a consumer was looking at. The fledgling sector’s own techniques and approaches did more than anything to establish the later definitions. In particular, Anchor Brewing Co. owner Fritz Maytag told anyone who would listen in the 1960s, 1970s and 1980s that he wanted his operation, the oldest craft brewery in the nation, to stay independent, traditional and small-scale—and he kept it that way through oscillating markets. The media began to take up the mantle in the early 1980s. In November 1983, The New York Times explained “microbreweries” as breweries “that have sprung up over the past few years to produce a few thousand barrels of specialized beers each year for limited distribution.” This article, about microbreweries in Silicon Valley, likely marked the first time the nation’s most prominent newspaper used the term (or its singular). The terms “craft beer,” “craft brewery” and “craft brewing” appear to have arisen shortly thereafter via Vince Cottone, a beer writer-turned-consultant—though, according to Cottone himself, he might’ve subconsciously imported the terms from the U.K. Finally, it was the collective turn of the newly minted Brewers Association. Its action 10 years ago was in part meant to dispel the confusion between things such as “microbrewery” and “craft brewery,” which many media outlets, and industry people, were using interchangeably. Besides, someone had to decide who, exactly, the new association represented. The group has majorly tweaked its definition twice in the past decade, most prominently via raising the annual ceiling from 2 million barrels to 6 million and changing what constitutes traditional. The changes have expanded the “craft beer” umbrella to cover bigger operations such as Yuengling that were for years beyond the definitive pale. They have also kept alive an argument that more consumers, serious beer geeks especially, appear to have started tuning out—which, in itself, is part of the debate. Cheers. Tom Acitelli is the author of  The Audacity of Hops: The History of America’s Craft Beer Revolution. His new book is a history of American fine wine called American Wine: A Coming-of-Age Story. Reach him on Twitter @tomacitelli. You’re telling me Yuengling is craft beer? Seriously? I don’t even think 90% of what Sam Adams does is craft beer. Saying Yuengling is craft is almost like saying blue moon is craft, c’mon man. Yuengling is independent and traditional, and have simply increased production to a point where some argue they arent small enough to be craft. But they still fit the definition. Comparing to Blue Moon is kinda… well… ignorant.